John Denton Bagster. Vignette Series is a series of rural scenes and this one is titled Haymaking. 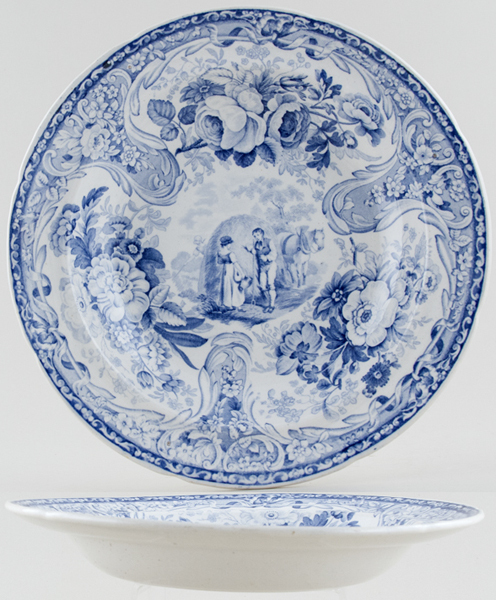 This wonderful rimmed soup plate has an amazing wide floral border surrounding the delightful central rural scene. No backstamp. Light all over crazing and on the back a little minor mottling, overall excellent condition.